Rent House – The Chumley – is almost finished! Yes, I’ve decided to name my rent houses. I bought 4 lots right in a row, and since my son made this venture possible, I decided to name these first 4 houses after the initials U.S.M. C. (left to right). 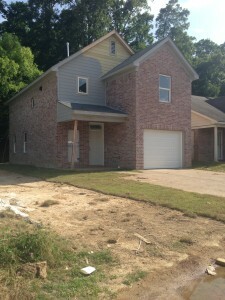 This first house, just happens to be on the far right, it earned the initial “C”. So in choosing a name, I decided to use one of Garrett’s first nicknames given to him by his superior Marines. 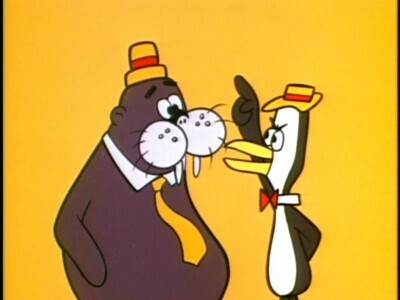 They called him Chumley, after the old-timey cartoon character. When he first became a marine, he was a bit chubby, and I’m sure that’s where the name probably originated. Now, I’m old enough to remember the cartoon and remember Chumley being a rather dumb character. Garrett was no where near dumb, but his superiors called him this to do what they do… probably considered hazing now, but much to their surprise, he embraced the nickname and was excited to finally have a nickname other than what his parents called him… Bear, or Garr-Bear. So, Chumley he became. This rental unit will be called “The Chumley”. 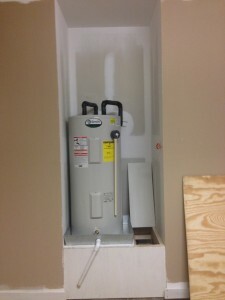 It is almost finished, here are a few more recent pictures of the unit. 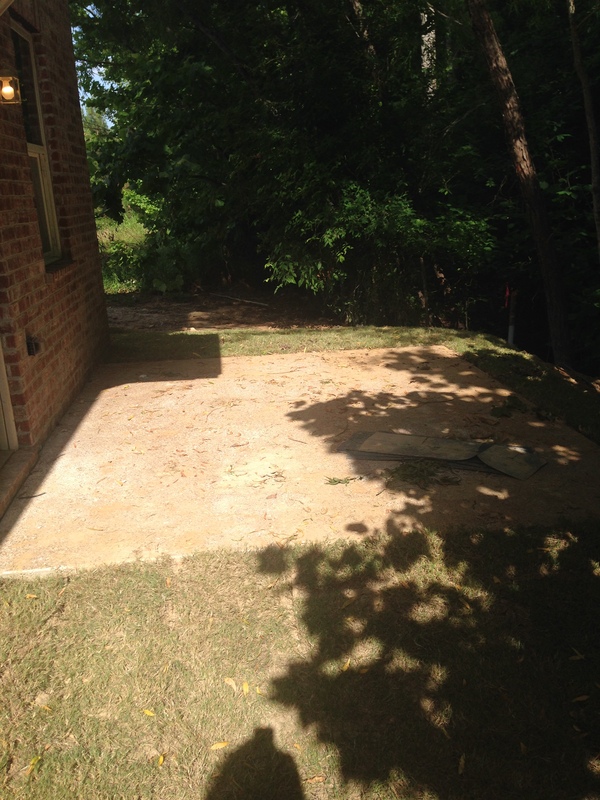 We have 1-2 weeks for completion. So if any of you know of someone who would like to rent a BRAND NEW HOUSE, this is a very rare opportunity, please have them contact me by making a comment to this post. The Chumley. 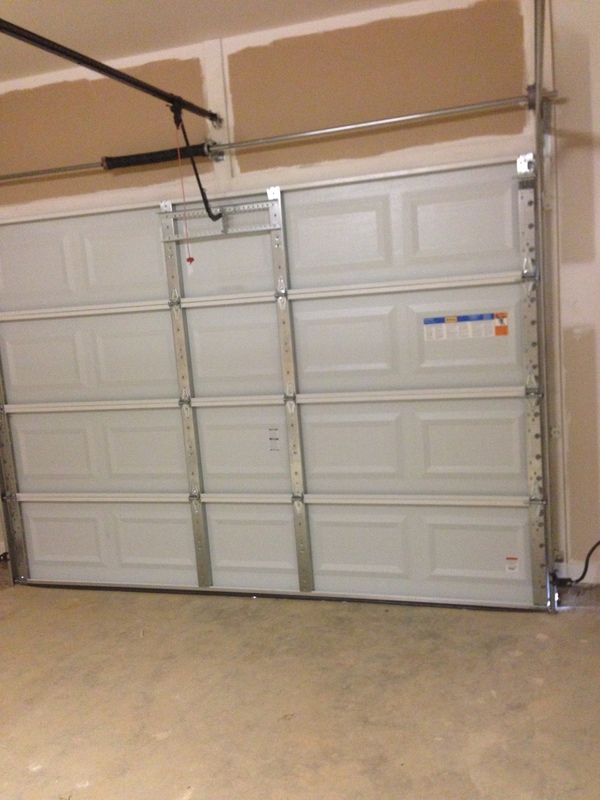 Still not fully painted, but it looks MUCH BETTER now with a garage door. Shutters are coming as well as a few shrubs. The nice level lot made a huge difference. 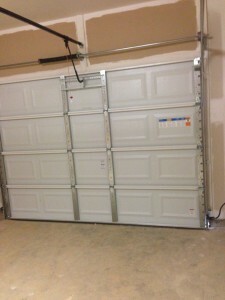 The Single Garage Door (with auto opener) has been installed. 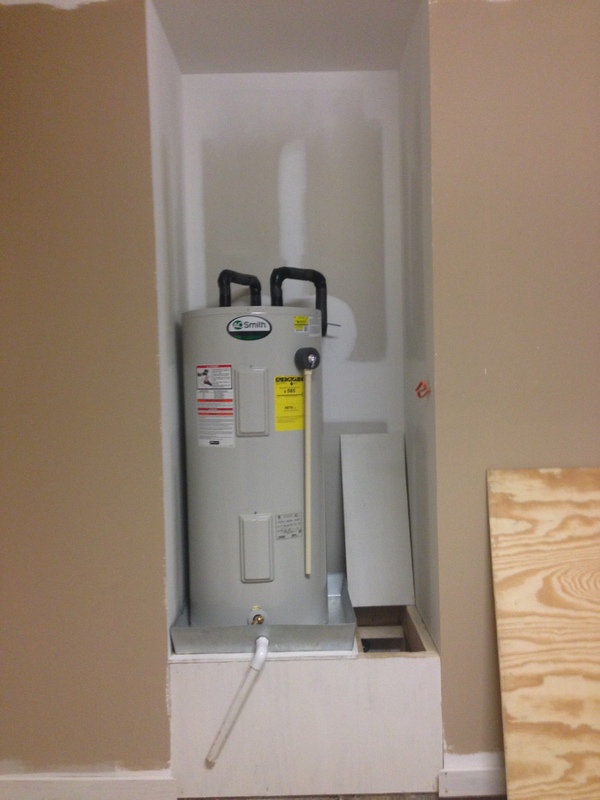 The water heater is located in the garage (rather than in the attic) so that if it fails/leaks, nothing in the house will be damaged! 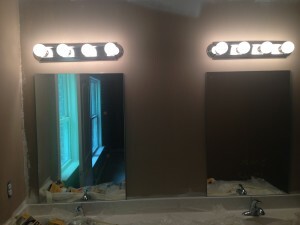 Master Bathroom with dual vanities and dual mirrors/lights. The Patio. I know it isn’t large, but it’s about as large as we could possibly make it. There is a big drop-off on the right. Still big enough for a grill and a couple of chairs.